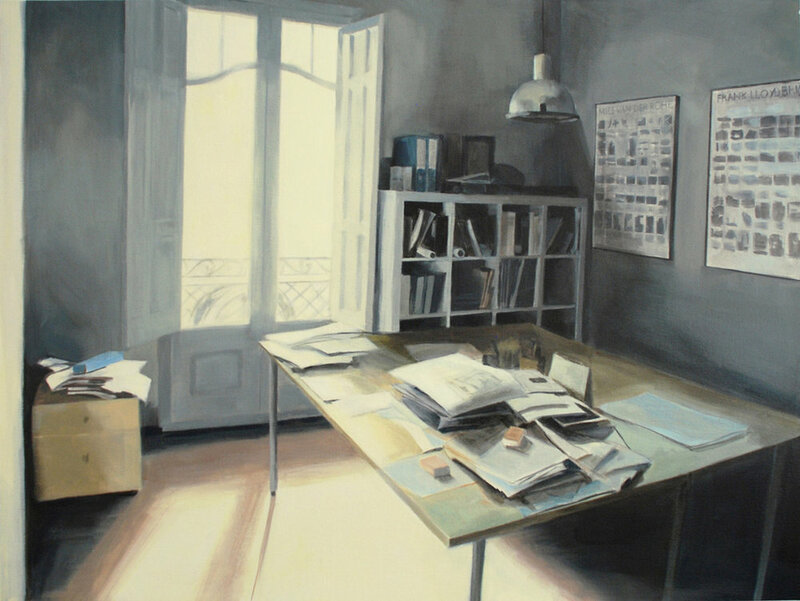 Work comissioned by the arquitecture studio LA CASA POR EL TEJADO, when moving their offices they decide to make a series of paintings that capture the space, the light and the history of this place with over 25 years of history. The idea is to bring the spirit of the old offices into the new ones. El estudio de arquitectura La CASA POR EL TEJADO, le encarga realizar una serie de obras que capten el espacio, la luz y la historia del piso del Ensanche barcelonés, en el cual ha estado ubicado este estudio de arquitectura durante más de 25 años. La idea es “trasladar” el espíritu de las antiguas oficinas a las nuevas.